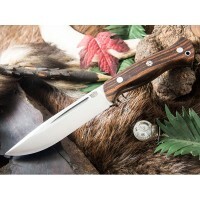 The new Cub is the scaled down version of the original Grizzly. 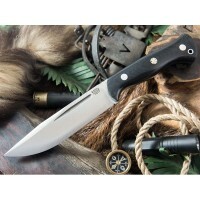 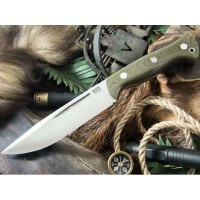 The Cub is a general purpose field knife that will easily perform and outdoor tasks you might encounter. 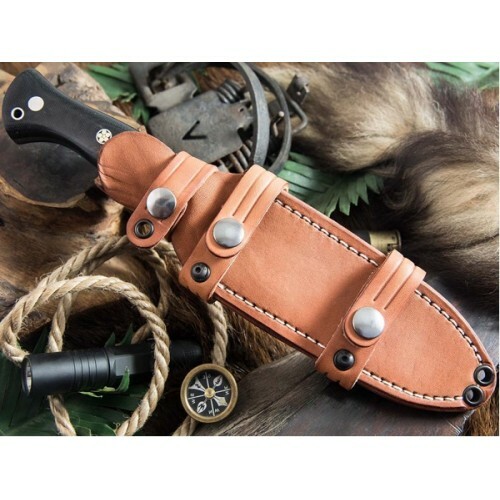 It rides easily on the belt in conventional carry and the sheath is already set with scout carry straps for horizontal carry if you prefer to use that. 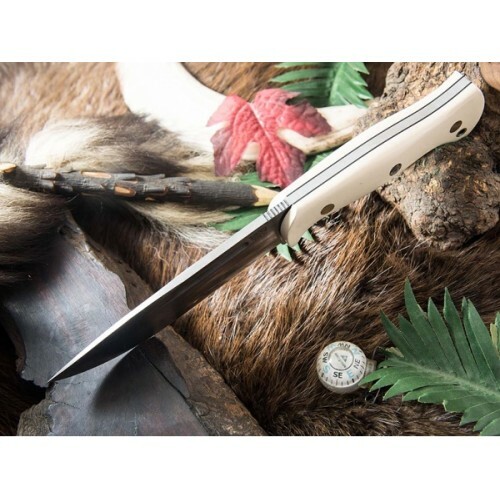 The eyelets are also positioned so that the sheath can be easily attached to a pack or pack frame. 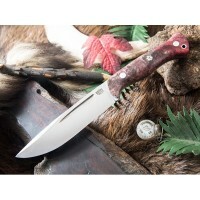 The Moran-style handle is comfortable no matter how You use the knife from fine work to heavy tasks. 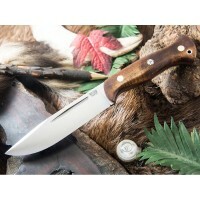 The unique sheath has been designed for the Cub by Jenna Martin or Vehement Knives. 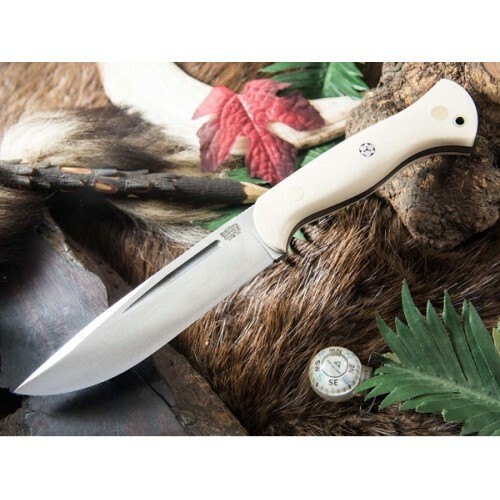 White bone micarta handles with black liners and brass pins.